SnappApp - Explainer Animation for venue loyalty points mobile app | Mair Perkins Ltd.
SnappApp is an app that replaces loyalty cards. So you can collect points from your favourite places and redeem your rewards quickly and easily. Find SnappApp on the iTunes store. The SnappApp creators needed an animation to explain how their app works. So my animation studio wrote a script for them, designed a style and characters, created storyboards, recorded a voice over, produced the animation and composed original music for it. 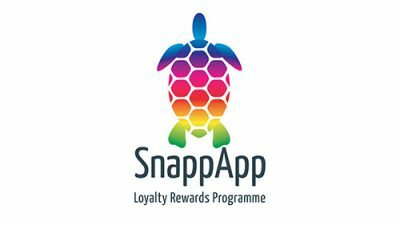 SnappApp is an app that replaces loyalty cards. So you can collect points from your favourite places and redeem your rewards quickly and easily. Find SnappApp on the iTunes store. The SnappApp creators needed an animation to explain how their app works. So my animation studio wrote a script for them, designed a style and characters, created storyboards, recorded a voice over, produced the animation and composed original music for it. Working with Mair has been what every business owner hopes for. Mair and her team were professional, responsive, excellent with time management and above all created and delivered exactly what we were looking for. We are very happy with the end results and highly recommended working with Mair.